Kirsty Dunphey has first and foremost always been entrepreneurial. From her start at an early age working in her parents small businesses or opening her first business at 15 – she’s had the bug her whole life. With two businesses and two part time jobs under her belt by the age of 16 to her own real estate agency at 21 Kirsty has been described as “Little bit Aussie Battler, Little bit Sassy Entrepreneur”. 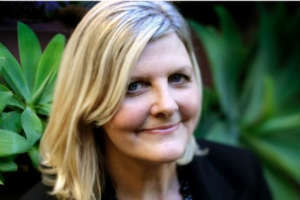 Kirsty now concentrates on training, speaking and educating whilst still maintaining ownership of one office and an active presence in Tasmanian real estate. 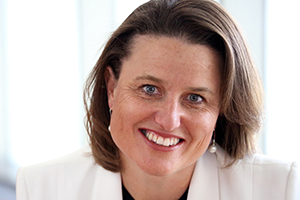 Award: In 2002, Kirsty was named as the National Winner of Telstra’s Young Business Woman of the Year Award. Winning this prestigious award and in fact being its youngest ever recipient shows the depth of her knowledge, experience and most importantly passion. Through speaking, training, coaching and wide variety of products and materials Kirsty takes that passion, that experience and that drive and injects it into your organization, your career, your life. Anything is Possible and Kirsty has developed presentations, workshops and reading materials to show you how to use simple techniques to change your mindset and change your life. Background: When both Kirsty’s parents went bankrupt – not even this could set her back from achieving her entrepreneurial goals. In fact, this actually gave Kirsty further motivation and accelerated her progression towards financial independence. Real Estate: At age 21 when the banks wouldn’t give her funding to open a real estate agency – she would not be deterred growing that agency from a team of just three - all owners of the company operating in a 2 bedroom apartment with no phones or internet site to a team of market leaders of over 50 across the North of Tasmania operating in 6 locations which she accomplished with business partner Tony Morrison. When Kirsty was purchasing her sixth investment property in her early twenties and her bank wouldn’t cooperate – did she stop there? No way, she was creative and found the solution that suited the problem blasting her way to being a self made millionaire at 23, self made multi millionaire by 25. Kirsty has eagerly launched into the next chapter of her career selling in mid 2006 her interest in the first office she started at 21. She says “My passion is training and education, I’m so grateful for the experiences I’ve had in running this business – but the next chapter is exciting and waiting”. Author: Kirsty’s first book Advance to Go, Collect $1Million was released in 2005 outlining the first chapter in Kirsty’s career and life and she has fast become a well known name in national business circles Kirsty has been featured on the Today show, Today Tonight, Cosmopolitan, Ocean Drive and Marie Claire Magazines, the Herald Sun and Age newspapers to name but a few. Speaker: Combining her passion for entrepreneurialism, customer service, property investment, building wealth, developing your sales skills, youth potential, business practices, real estate and enhancing public perception and skills of real estate agents Kirsty now delivers around 30 keynote speeches a year and is available as a speaker and trainer on the above topics.